Search Results for "Governance and regulation"
On 31 May, the Scottish Parliament passed the Housing (Amendment) (Scotland) Bill without any further amendments. This follows close liaison between Scottish Government and SFHA during the drafting and passage of the Bill. The animation summarises the key points of WSHA’s Data Protection Statement and will be promoted on social media, at tenant events and incorporated into the new tenant sign-up process. Regulator’s Deputy Chair addresses PATH (Scotland) event. SFHA Model Role Descriptions for Governing body Members and Office Bearers are now available to all SFHA members. 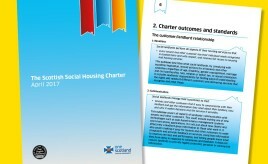 This collection contains four stand-alone documents that can be adapted by Scottish housing associations and co-operatives. Your Tenants' Views of Potential FOI Extension? 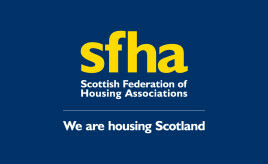 SFHA has been contacted by a number of its members about collecting the views of their tenants on the potential extension of Freedom of Information legislation to Scottish RSLs. SFHA has prepared an impartial briefing that SFHA members can use to inform tenants about the pros and cons of extension.